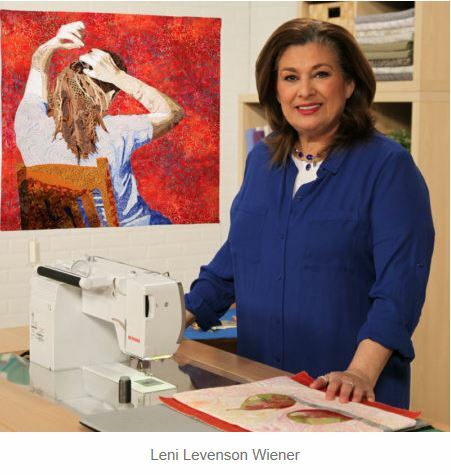 Leni Levenson Wiener is a fabric artist specializing in art quilts, and the author of three books on creating quilts from photographs. (Leni came to QOL in June 2013.) 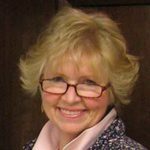 Besides teaching workshops at quilt guilds and quilt shows, Leni frequently gives talks to quilters on color, value and print scale; finding your artistic voice, and trunk shows of her evolution as an artist. In addition, through her website, Leni offers a service to coach emerging artists to help them find their unique voice. 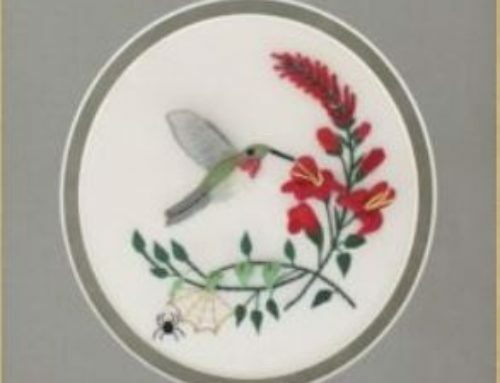 By Leni Levenson Wiener, republished with permisson. 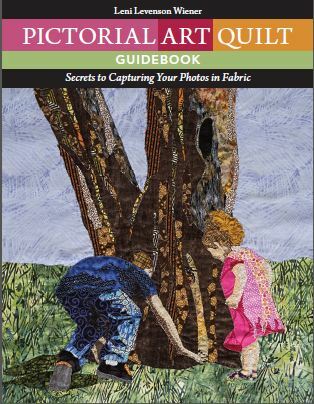 The quilt pictured, entitled “Explorers”, is the step by step project featured in Leni Levenson Wiener’s book “Pictorial Art Quilt Guidebook” . Take bits and pieces from everywhere, mix them together and toss things aside until you have a set of working skills that reflect who you are as an artist. Artists grow and evolve and change throughout their careers. As an artist, you must always stretch yourself and challenge yourself to do more; re-think, re-evaluate, and revisit your approach, your themes and your techniques. If you stand still your work will stagnate and become boring. Follow your voice where it leads you. Art is a path you follow, not a place to reach and rest.